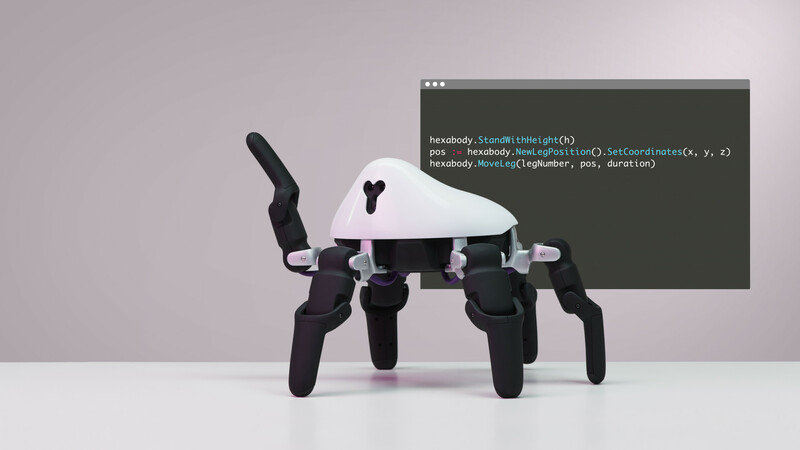 Beijing-based Vincross has just launched HEXA, a six-legged, swivel-topped programmable robot, via a Kickstarter fund with a launch price of $499. The spider-like robot has the ability to take part in search and rescue, dancing or espionage missions; the accompanying ecosystem with its “skill store,” programming language and simulator might prove to be more of a breakthrough—and moneymaker—than the hardware. 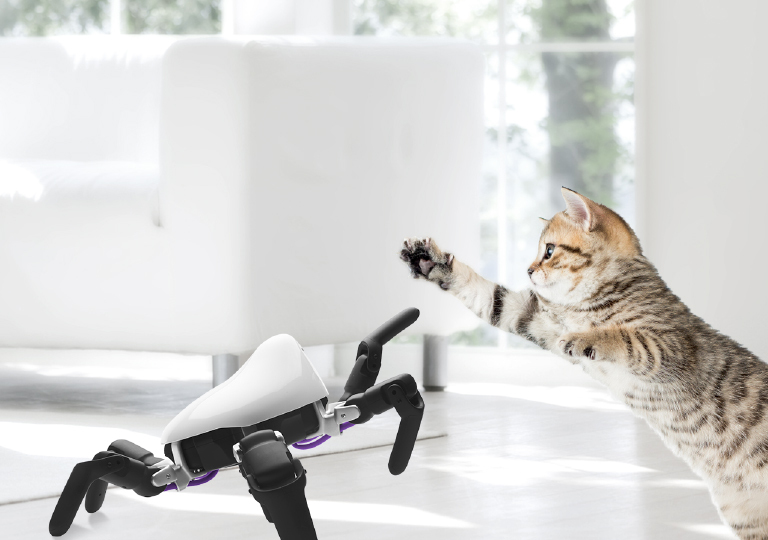 HEXA can walk, climb and carry things, navigating with a 720p camera, night vision, a gravity sensor, three-axis accelerometer, distance measuring sensors (lasers), infrared transmitter and has other features such as WiFi and multiple ports for add-ons and connections. It has even beaten Apple to wireless charging. The ecosystem, called MIND (they like their capitals), is the combination of a programming language, a skill store of sets of coding submitted by developers, the mobile app, and a 3D simulator where developers can quickly have a virtual on-screen HEXA go through the motions or test virtual environments. One of the main reasons that Jenny Lee, managing director of GGV Capital, Vincross’s main investors, was so interested in Vincross is because of how comprehensive the ecosystem is. Lee values the operating system more than the hardware for generating returns, the Vincross team explains. With so many devices flooding the market, the operating system is the big differentiator. One of our main questions to the Vincross team was, of course, if the HEXA falls on its back, can it get back up? No. “HEXA will immediately know that its back is on the ground, but it cannot do anything,” says Xu. Can it call for help? Actually, yes—that was a skill devised by a Beta tester. “We don’t really know yet what the community will create,” says Xu. “[The ecosystem] increases accessibility for developer groups.” Beta testers have created some other skills already available in the skill store such as “bull fighting,” which programs the HEXA to recognize red items held nearby and will move towards them. Vincross has also launched a scheme to find 2,048 mentors for the HEXA to use the device in innovative ways (2,048 because that’s 2 to the power of 11). 8,000 people had already signed up for pre-access to the Kickstarter and serious applications for the HEXA had flooded in. One human mentor request was made by a scientist in the University of Hawaii’s HI-SEAS Mars mission simulation, for exploration but also for “emotional support.” An improv actor has requested one for taking part in his shows and a researcher at Imperial College London will conduct reinforcement learning experiments on a HEXA so that it can learn for itself. Which begs the question of security. “It’s much like drones. There are some things we can do as manufacturers such as geofencing, but as platform builders, there’s little we can do in terms of micromanaging behavior,” explains Xu. As for user safety, the HEXA uses encryption that means intercepted data is unreadable and that can detect any man-in-the-middle attacks. Prices on Kickstarter start at $499 to $649 with an expected price of $999 after the event. Prices for when it goes on sale via JD.com are not yet available. Skills entered into the skill store are currently free to any users and developers, “but it’s not hard for us to add in-app purchases,” says Xu. 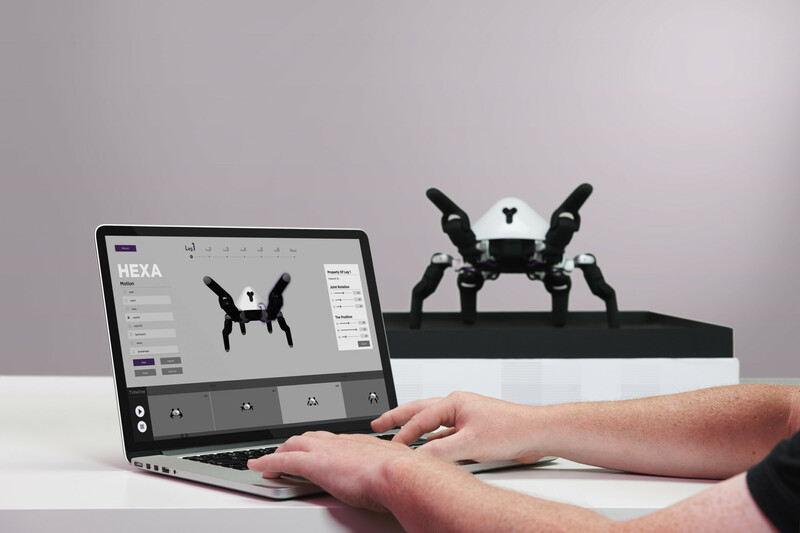 More types of robots will become available in the future, but if you master the MIND ecosystem via HEXA, you won’t have to relearn a new interface for future robots, whether or not they are manufactured by Vincross.